Royal Vegas Casino was founded in 2000 as part of the Fortune Lounge Group. It led the way in this industry for a decade, setting the standard for many other brands to follow. These days Royal Vegas Casino is not quite as good as it used to be and has fallen behind somewhat, but make no mistake about it, this is still a very impressive casino. Royal Vegas Casino has consistently offered one of the best matched deposit bonuses in the business, with $1,200 and a host of free spins available for all new players. There is a high play-through rate (more on that below) but that’s a lot of money for an established brand like this to offer. The play-through rate on Royal Vegas Casino is 50x, which means you need to wager more than 50 times your total bonus before you can withdraw it. If you take $1,000 then you need to bet $50,000 before you can claim it. That sounds like a lot and it is certainly above the average of 25x to 30x, but they are not alone in this and even the highest play-through rates go quickly when you’re betting on high-RTP slots (learn more here). Royal Vegas Casino only uses Microgaming and it is actually one of the biggest and longest-running Microgaming-only casinos. This trend to sticking with Microgaming was very common back during the turn of the 21st century when Royal Vegas Casino were founded and they have done well to fly the flag for this gaming developer over the years. There is a withdrawal limit of just $5,000 a week on Royal Vegas Casino, although this may be lifted if you are high roller. Just make sure you contact them first to request this. Royal Vegas Casino has some great games of virtual blackjack and real money roulette (see more here), including live blackjack, progressive slots, and much more. Take a look at some of their standout titles below. Jurassic ParkThis Microgaming slot machine takes the player on an adventure through the famous theme park. Thunderstruck IIA classic Microgaming slot. Royal Vegas Casino Security and Safety Royal Vegas Casino is very secure thanks to the use of a 256-bit SSL encryption. It is also audited, regulated and licensed. As is often the case with big-name casinos like this, Royal Vegas Casino is as safe as houses. Royal Vegas Casino has 24/7 support available through a number of options, including live chat, email and phone. The best way to get in touch is through live chat. They are very quick and very helpful through this feature. Can I Play Royal Vegas on my Mobile? You can download the Royal Vegas Casino onto your mobile device whether you have an iPad, iPhone or Android device. Download casinos are somewhat rare these days and are gradually being phased out, but Royal Vegas Casino was created at a time when they were the only way to play, and this is basically a remnant from that time. Can I Use Bitcoin on Royal Vegas Casino? There are no cryptocurrencies accepted on Royal Vegas Casino. There are many other ways to get money into and out of your Royal Vegas Casino account though. 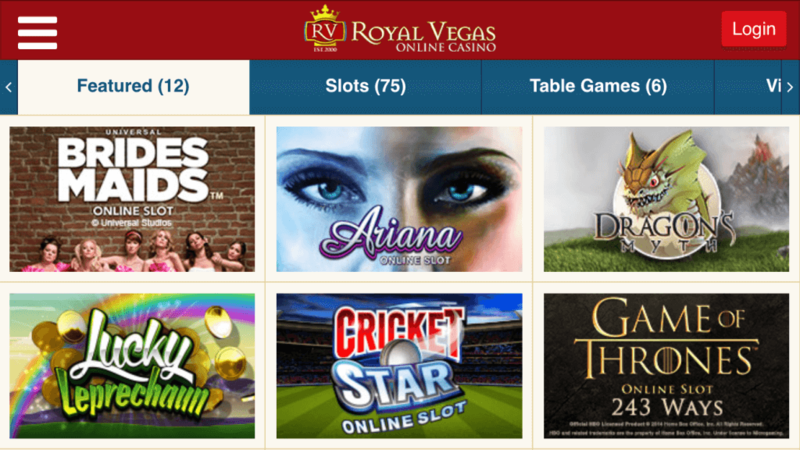 Is Royal Vegas Casino Instant Play? Royal Vegas Casino has a downloadable casino on desktop and mobile, but it also has an instant play casino on both of these. Royal Vegas Casino is audited by eCogra, who run independent checks to ensure it is fair. You can see the details of their report on the main page. How Can I Contact Royal Vegas Support? If we’re 100% honest, we’d have to admit that Royal Vegas Casino is not as good as it used to be. It was once a standout Microgaming casino, one of the best around. But these days there are restrictions in place that have dulled the once bright edges. However, it’s still a very good casino and it still has a lot to offer players. 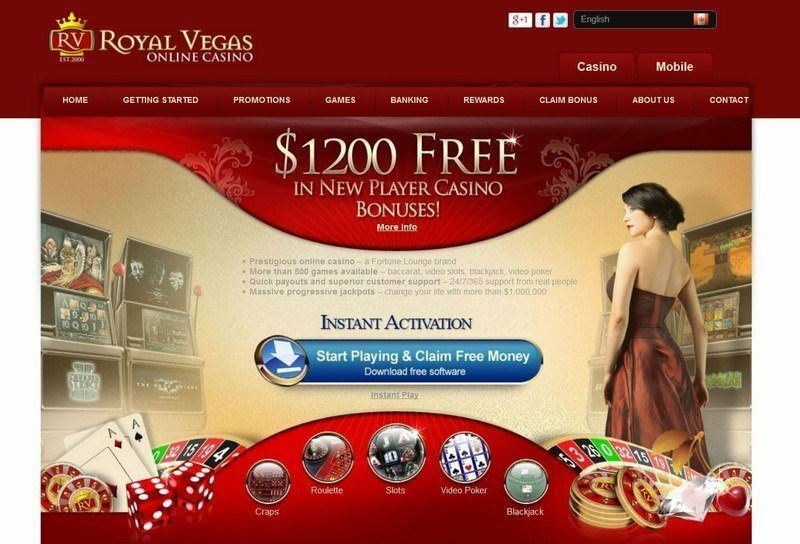 If you are new to Royal Vegas Casino then you will likely be very happy with what you see. But if you are a returning player coming back after a fear years’ absence, then you will likely be disappointed with the changes.